Well we got our year off to a great start (depending on which side your were on I suppose) with 2x games being run. Mike R, Roger, Andy (a newcomer we welcomed to the club this week) and Ross played a small WW2 skirmish using the Bolt Action rules by Warlord Games. An enjoyable run-through of the rules seeing the British Para’s see off the German Pz Grenadiers! These rules are fast becoming a favourite at the club for this scale – simple & quick to play – making them ideal for a club night. 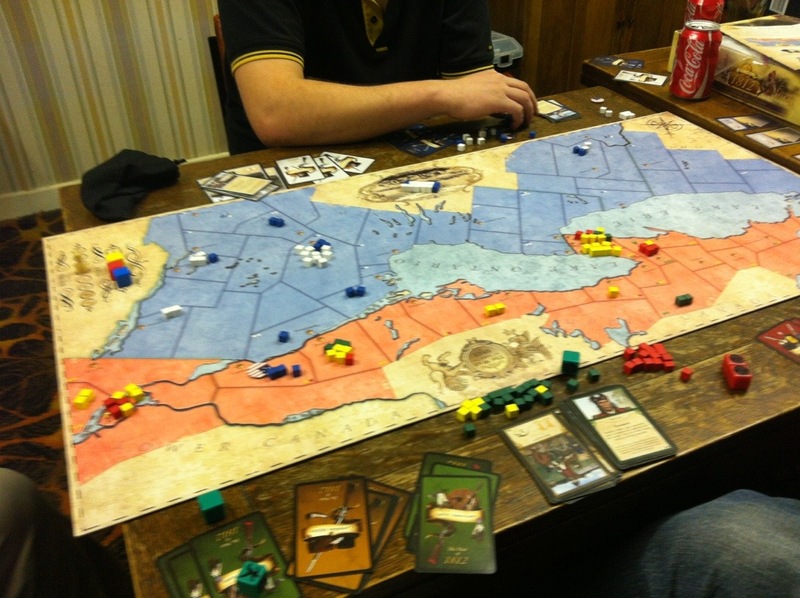 Due to unforeseen circumstances the Pike and Shotte run-through was postponed until next week; however Mike and Alistair pulled out the quick play board game “1812 – The invasion of Canada” by Academy Games. Alistair and Mike were unable to stop the American invasion and were forced to capitulate! 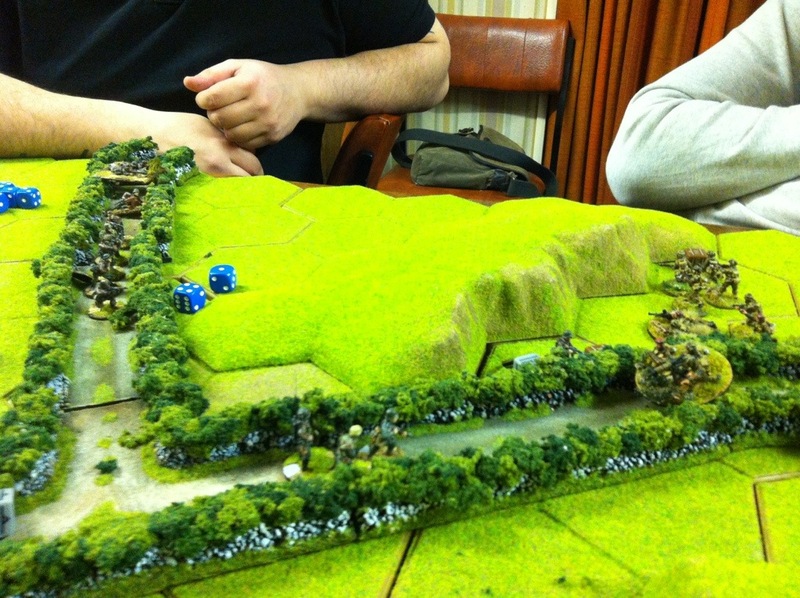 Details of next Tuesday to follow along with news regarding the clubs plans for this years wargames shows!